My husband and I have two 10 month old female Weimaraner puppies. They are fabulous in many ways, however, we struggled with some intra-pack aggression issues between them. We called Manette and set up a time to get together and chat about our concerns. Manette was the perfect objective observer and expert behaviorist. Most of the issues we were having were easily changed with her helpful advice and information. As anyone who has watched TV shows like "It's Me or The Dog" knows, a lot of the issues that dogs struggle with, come back to how their humans react and deal with them. It can be difficult to recognize these things when you are in the heat of a challenging situation with your animal at home. Manette was able to easily explain to us how we can better handle our girls; observe their behavior, intervene before things get out of hand, and redirect the energy to a positive place. It has been only 2 months since we met with Manette, and we have happier, more obedient dogs. 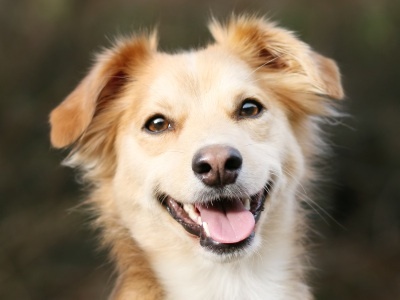 She truly gives the power back to you, the owner, so that you may learn how to have a better relationship with your dog. We met Dr. Kohler during a very heartbreaking time with our kitten Peanut. She came to our home and helped us understand Peanuts negative behaviors and gave us a clear understanding as to why the behaviors where happening. We worked on a behavior plan that would work with our family members. As promised she had it in writing to us the next day and followed up regularly to monitor and offer further suggestions. She handled our emotions with gentle care and never made us feel we couldn't provided the care Peanut would need to change her behaviors. Dr. Kohler's knowledge will never be forgotten and we thank her for all her professionalism and help. We think the world of her and if we ever need her help again, we would call her in a heartbeat. She really is a "HELPING HAND". Forever grateful. 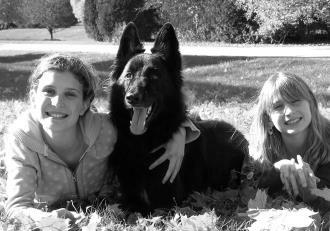 Over a period of months, our beloved Tervuren Alex grew so fearful he became unable to sleep. Any sudden noise, however small, terrified him and sent him scrambling to his feet in panic. Normally cheerful and cuddly, he became withdrawn and increasingly anxious. We tried every remedy from white noise to herbal drops, but nothing helped more than one or two nights. After running the standard tests and finding no clues why this had happened, Alex’s veterinarian recommended Dr. Kohler. She responded quickly to my online inquiry and has been readily accessible to us ever since to answer questions and give advice. Working closely with his veterinarian, Dr. Kohler helped Alex at first using medication. After a thorough evaluation in our home, she suggested a variety of additional tools including behavioral training. This combination vastly reduced his anxiety and fear. Alex’s improvement began within a few weeks and his medication was soon reduced. Once more happy and carefree, our boy now sleeps comfortably through the night. It was so great you addressed every concern we had at the time and showed us how to do it. We recommend you highly and told our vet clinic that last week when I went to thank them. So many actions and things we do with good intentions turned out to be the wrong move. Thank you for helping us understand how Moses might perceive things. I wish Dr. Kohler had been our first call when our goldendoodle pup began showing signs of aggression at just 8 weeks of age. I truly believe we could've helped our little guy deal with his issues far more humanely and bypassed a lot of the anxiety and heartache we went through for so many months. Dr. Kohler has a wealth of knowledge as both a vet and a behaviorist and she is willing to share it all. She is kind, committed and very down to earth. Don't make the mistakes we made and make Dr. Kohler your first call! A little over a year ago we hired Manette to come into our home and help with a Bloodhound who was very excitable and at time aggressive. She had recently bitten a delivery man, and we wanted to prevent this from happening ever again. At that time Ellie (our dog) was about 5 years old. She had spent the 1st year of her life kenneled, and had 3 other homes in the second year of her life. We were pretty sure she had been beaten by the boyfriend of one of the owners, as the reason for giving her up was that she did not get along with the boyfriend. At that time we had 3 other dogs in the home, and Ellie was the latest addition. I noticed one evening when I was getting a pizza from a delivery man that her bark changed to aggressive, and shortly after that was the biting incident. Manette was recommended to us by our vet as someone who was exceptionally tuned in to dog behavior and had studied it extensively. She spend several hours with us. She worked with Ellie and gave us recommendations to retrain her behaviors. She also made wonderful suggestions about publications to read which explained in detail what dogs are saying when they communicate with their eyes, their tails and so on. I purchased most of these books in the next several weeks, and became fascinated with dog behaviors. Today Ellie goes out to meet strangers on a lead. When she is out of the house and away from the other dogs, she feels special and can do all the sniffing that she wants before everyone goes inside to be with the other dogs. She is no longer aggressive at all. It is wonderful to not have to worry about potential problems with a dog that we love so much. Thanks, Manette! I was having trouble with my young puppy biting me. I couldn't believe that such an adorable loving creature could be biting me. I tried everything to get him to stop but nothing was working for me. My vet referred me to Dr. Kohler. When I gave her a call she spent 20 minutes or so on the phone assessing the situation to make sure she could help. She was very reassuring, friendly and warm. She came to my house within the week and spent plenty of time to give the situation a full assessment and gave me several options for treatment. We actually began treatment while she was there and as it turned out my puppy was "cured" from just that one visit. I was totally amazed and forever grateful. From that point, Dr. Kohler, has made several follow up check ups on us to see how he is doing and even offered helpful tips for other training issues. She truly is a Wisconsin dog whisperer and I would truly recommend her to anyone needing animal behavior advice.